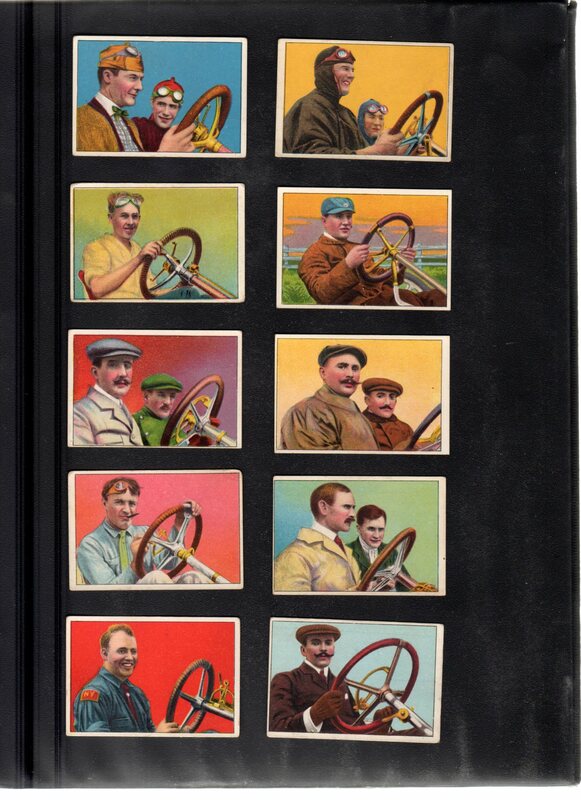 This 25 card set was issued in 1911 by The American Tobacco Co. with either Mecca or Hassan cigarettes brand backs. 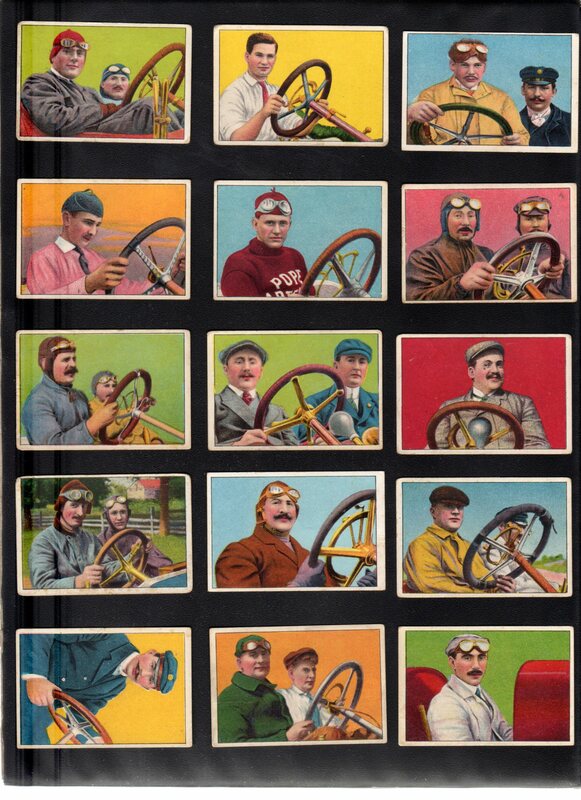 The fronts are colorful horizontal images and feature famous auto drivers of the day shown holding the steering wheel. The backs have biography information and an ad for the cigarettes brand. 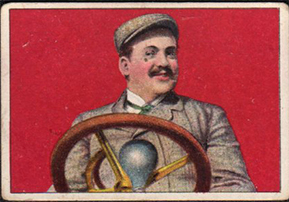 The cards measure 1-3/4" by 2-9/16". 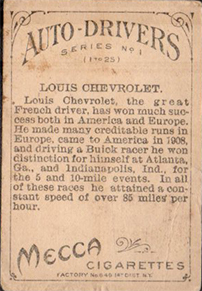 Top drivers in the set include Louis Chevrolet and Barney Oldfield.